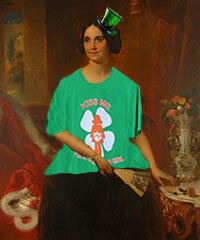 Clemson Girl: Happy St. Patrick's Day 2013! Friday finally showed up and tomorrow will be the start of many green festivities. We hope everyone has a wonderful (and safe) St. Patrick's Day weekend!! For those of you starting your Spring Break, lucky you and safe travels!